Learn what a Curry School of Education and Human Development degree can do for you. The Curry School of Education and Human Development will give you the tools to make an exponential impact. Our programs extend from classrooms and education systems into clinics and communities, reaching all kinds of learners. Whether you're in high school, teaching high school or somewhere in between, this is a place for you. 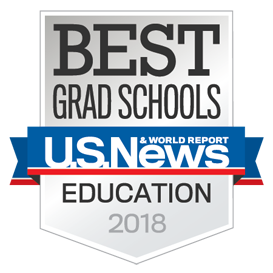 The Curry School is ranked among the nation’s top graduate schools of education. To our students we provide degree programs in preK-12 teaching and leadership, youth development, research and higher ed, health and well-being, education policy and leadership, and other human services professions. Here, students join our efforts to drive inquiry, discovery and impact of new knowledge on society through rigorous scholarship, tested application and effective innovation. The Curry School offers degrees in more than 20 areas of study. For the full list, visit our Program Finder. At a glance, Curry offers undergraduate majors and minors, masters of teaching and education degrees, education specialist degrees and doctoral degrees (both Ed.D. and Ph.D.), plus dual degrees with other schools at UVA. For the full list visit our Degree Finder. As an institution committed to the practices of teaching and learning, we are proud to offer a portfolio of academic offerings for professionals seeking to continue their education throughout their careers. From degrees and certificates to course series and individual courses, we aim to provide rigorous learning experiences with flexibility by offering these online, on-Grounds in Charlottesville, and at UVA centers across the Commonwealth. In the aftermath of the violence, hatred and bigotry that took place at the University of Virginia and in the City of Charlottesville, Curry School Dean Bob Pianta has offered thoughts on the way the Curry School community aims to move forward.